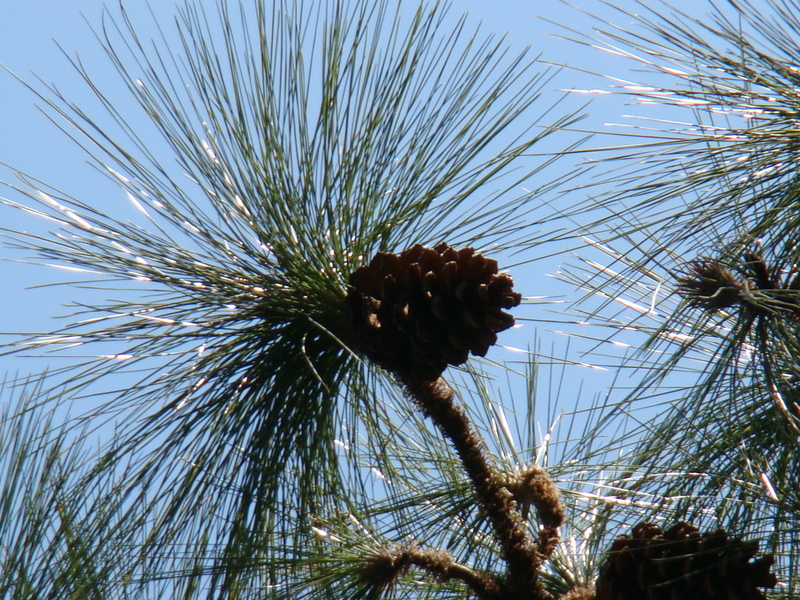 The longleaf pine is a fire-adapted species, with fire playing a role in germination, the growth of saplings, and the maintenance of a forest structure that enhances longleaf regeneration. Without fire, the system changes dramatically, losing the open woodland structure and the rich herbaceous diversity. North Pasture is a remnant longleaf pine system on St. Catherines Island that was logged between 1938 and 1943. Today it is managed for relocated gopher tortoises. Unlike typical longleaf pine areas, longleaf pine on St. Catherines regenerates abundantly without fire. Since the removal of the last cattle in 1982, the once bahiagrass (Paspalum notatum) dominated understory now supports a wide variety of grasses and herbaceous plants. Native grasses, including at least four species of broomsedge (Andropogon <) and various panic grasses (Dichanthelium ) and native herbaceous plants such as silkgrass (Pityopsis) and butterfly pea (Centrosema virginianum), are the most commonly found plants in North Pasture. Currently, the open habitat needed for the tortoise population is managed with a combination of mowing and fire to maintain its open structure and support herbaceous diversity. Today, less than 3 percent of these forests remain, and much of the original acreage has been harvested and converted to other land uses. Additionally, a significant portion of the remaining longleaf forests is degraded. 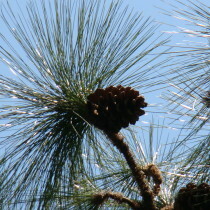 The longleaf pine is a fire-adapted species, with fire playing a role in germination, the growth of saplings, and the maintenance of a forest structure that enhances longleaf regeneration. Without fire, the system changes dramatically, losing the open woodland structure and the rich herbaceous diversity. 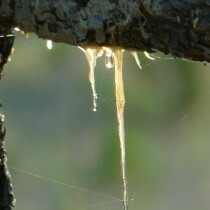 Eventually, other species dominate the canopy, and the longleaf pine does not regenerate. Reintroducing fire to these systems on the island proves difficult due to dryer conditions caused by drought and a reduced water table. 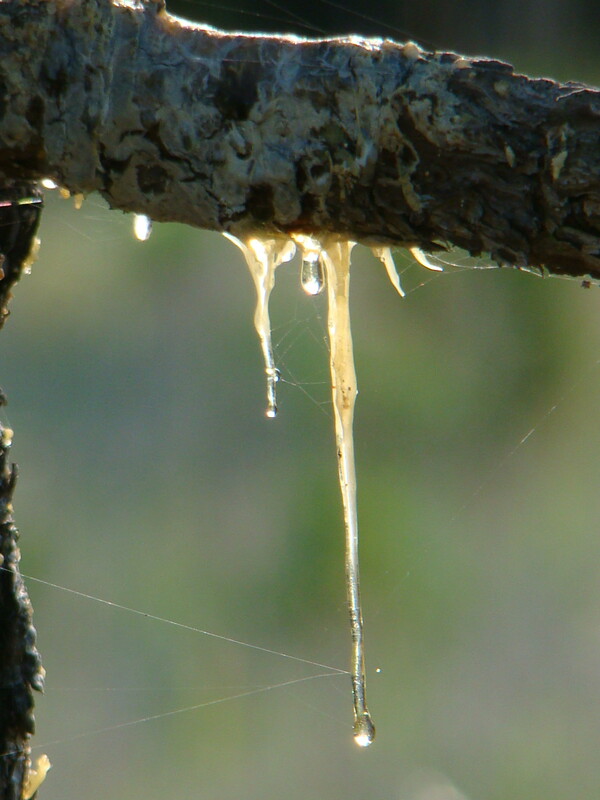 Longleaf pine woodlands support a richness of species, sustaining more species of plants and animals than any other ecosystem in the United States, which is the result of a diverse groundcover that is maintained by fire. The floristic diversity of nectar and host plants attracts many species of butterflies, serving both migratory species, such as monarchs in the spring and fall, and permanent species. 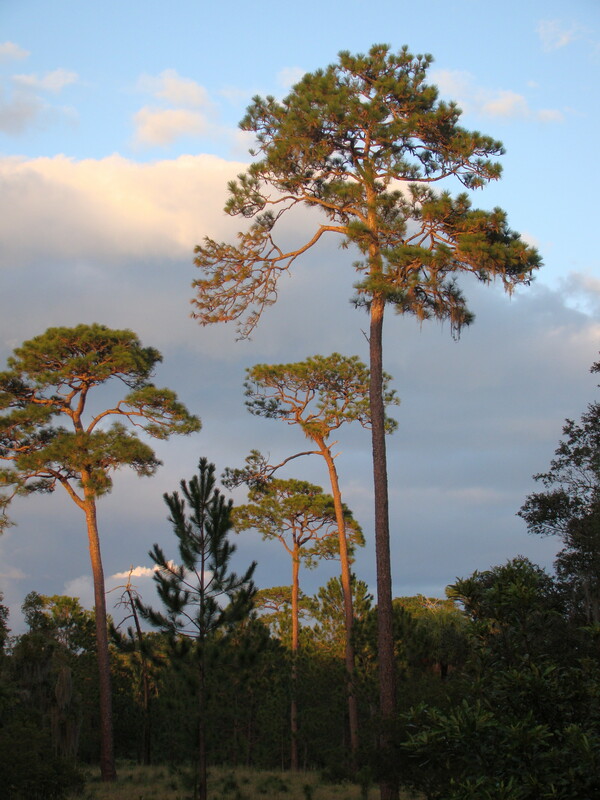 Longleaf pine woodlands are uncommon on the barrier islands along the southeastern coast of the United States. 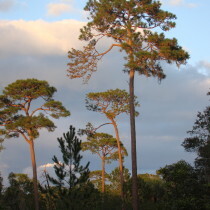 Only three islands along the Georgia coast (St. Catherines Island, Sapelo Island, and Cumberland Island) have forests dominated by longleaf pine. Longleaf pine is found in two communities on the island: the maritime slash pine/ longleaf pine/live oak woodland along the northeastern edge of the Pleistocene core, and the managed longleaf woodland adjacent to and inland from the previous community. The maritime slash pine/longleaf pine/live oak woodland is highly imperiled. Christensen, N. L. 2000. Vegetation of the southeastern Coastal Plain. Pp. 397-448 in Barbour, M. G., and W. D. Billings, eds. North American terrestrial vegetation. Second edition. Cambridge University Press, Cambridge, UK. Hodges, B.N., J.C. Jones, T.M. Norton, and T.D. Tuberville. 2014. Plant Community Characteristics, Forage Nutrient Content, and Soil Chemistry associated with Gopher Tortoise (Gopherus polyphemus) Burrows on St. Catherines Island, Georgia. Final report submitted to St. Catherine Island Foundation, Inc., Midway, GA. Mississippi State University, Forest and Wildlife Research Center, Mississippi State, MS. 55 p.